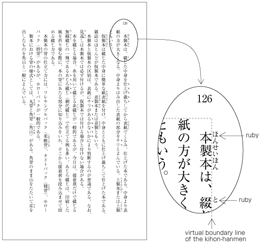 Requirements for Japanese Text Layout describes requirements for Japanese layout realized with technologies like CSS, SVG and XSL-FO. For non-Japanese speakers it provides access to a wealth of detailed and authoritative information about Japanese typesetting. The document is mainly based on a standard for Japanese layout, JIS X 4051 and its authors include key contributors to that standard. However, it also addresses areas which are not covered by JIS X 4051. This second version of the document contains a significant amount of additional information related to hanmen design, such as handling headings, placement of illustrations and tables, handling of notes and reference marks, etc. A Japanese version is also available.